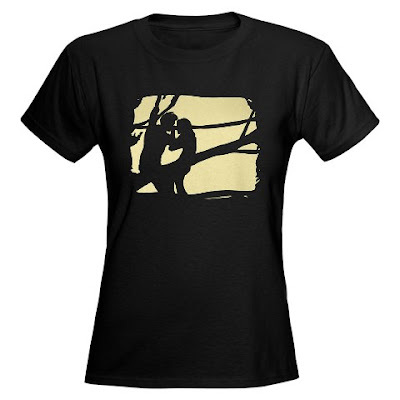 CafePress got in touch with me this week about sponsoring a giveaway here on the blog for a Twilight/Eclipse T-shirt. Of course I said yes, being the huge Twilight fan that I am. 1.) Leave a comment with the link to your T-shirt choice/design and your e-mail address. 3.) Leave yet another comment if you tweet or blog about this giveaway (with link!). Don't worry, I like Twilight though! oh yeah, and obviously i follow your blog! i'll be back when i tweet about it! and duh I follow you! p.s...I've got the giveaway going on too until next tuesday so enter in and get you another shirt maybe? I love this shirt. Enough said.